Brazil is a country so blessed with natural resources that it’s never had to try too hard to create value. It has a wealth of oil, gas, water, agriculture and even wind but technological assistance could get even more value from those commodities. However, there’s a blockage in the system. There is a culture in Brazil that resists change and influence from foreigners, say Brazilians and others interviewed for this piece, so the commercial techniques (more commonly known as business process automation or IT) that could be used to improve productivity and add value are sometimes shunned. The discipline imposed by IT would create cost savings through efficiencies and productivity gains to add value to existing commodities. But the mistrust of outsiders and the legacy of archaic bureaucracy are taking their toll. In 2011, Brazil grew at 2.7% and became the world’s sixth largest economy by GDP, overtaking the UK. Last year it slowed to 0.9% and was itself overtaken in the GDP stakes by the UK. In November, as the two nations exchanged places in the world economic league tables with each currency fluctuation, IDG Connect accompanied a UK technology trade mission to Rio de Janeiro and Sao Paolo. As the more mature, developed nation, the UK could pass on its know-how in using technology to maximise the value of Brazil’s assets. In return, Brazil could trade some of its increasing wealth. But first, there are some cultural barriers to overcome. UK company, Kite Power Solutions (KPS) for example, has invented a way to maximise the potential of Brazil’s wind power legacy, using software algorithms that automatically control these flying power generators. The company’s industrial-scale kites are powerful enough to turn turbines and create electricity but still small enough to be mobile. They’re portable enough to be taken on the back of a truck or boat and taken deep into the Amazon, to generate power in areas the grid will never reach. Getting a giant kite out of a kapok, the giant Amazonian tree, is a problem they will have to deal with later, but Brazilian bureaucracy presents more of a block that must be removed before Kite Power can help Brazil create the potential billions of dollars’ worth of value from electricity generation. It’s hard for a gringo (foreigner) to do business in Brazil, says Brazilian Development Bank (BNDES) president Luciano Coutinho. “This is a country where trust and relationships are very important. You won’t be able to make inroads unless you have a local involved,” he argues. KPS is looking for investment and partners to help it bring the benefits of free energy to Brazil. But even locals say there is a ‘gringo culture’ that blocks investment. Eric Bettelheim is CEO and founder of Floresta, a company that trades on its ability to create a system whereby local farmers are rewarded for replanting the trees that were cleared from the Amazon. But he’s frustrated the technology isn’t used to its full advantage. Another IT company hoping to profit by making Brazilians more competitive is Oxfordshire, England-based data analytics company Rezatec. It aims to overcome the inefficiency of the carbon trading market and says that by using technology to simplify business processes it could create an estimated $6bn in revenue for the forestry industry. To a nation that’s often criticised with each revelation about its disappearing rainforest, this is of massive importance. Manually measuring tree density costs $500 per square kilometre, which is proving painfully expensive for local service providers. Big data specialist Rezatec has created a solution, using satellite and advanced analytics, that it claims will do the job for a fifth of the cost. At least one local company was engaging in talks with Rezatec’s commercial director Tim Vallings during the mission. But will progress be made? Not necessarily. Brazilian business culture can be positively misleading, warns Sergio Rodrigues Costa, director of Investe Sao Paolo, a non-profit that is intended to attract investment to Brazil’s largest city, home to over 11 million people. The willingness to please can make technology project managers waste months on the basis of false reassurances. Behind another invisible cultural barrier waits Tim Stephenson, director of Trakeo, a London-based company that’s based within the famous Imperial College and develops software that improves sustainability options for organisations. Trakeo wants to help Brazilians gain entry to a $10bn market. The global market for ethanol is one in which Brazil, with its world-beating harvests of sugar cane, should be thriving. But it isn’t, because the 38 nations that are prepared to buy biofuel all have their own regulations and standards. 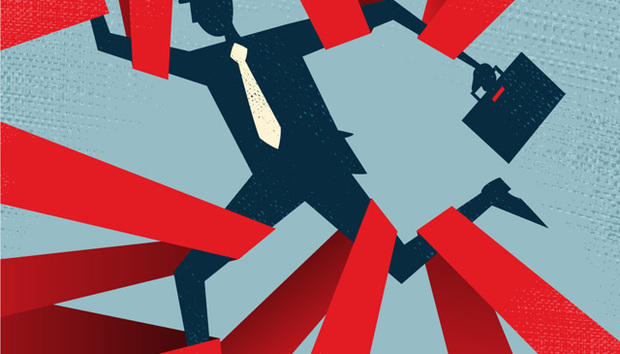 Together, they create a jungle of compliance red tape that would confound any explorer. Trakeo’s software system will help Brazilian traders cut through that and gain access to revenues, it claims. As indeed would another technology company, Codbod, whose cloud-based service helps companies understand the profile of their environmental impact. It does this by simplifying the internal search for information, using a memory refreshing technique that is reminiscent of the augmented reality systems that are portrayed on TV shows like CSI (Crime Scene Investigation). There is a general overview shot of the company, which users can pan down on in order to get more detail. Pop-up boxes give more granular information on each part of the company, and this helps the user to remember the levels of detailed data that they need to provide for an environmental impact report. The system is reminiscent of the ‘room’ system used by noted Roman orator Cicero to remember the order and details of his speeches. Except in this case, each room prompts the user to remember more details about the company's actions and their environmental impact. This means customers can meet regulations much quicker and win more orders. The concept sounds brilliant in its simplicity. But that genius could be neutralised by the complexity of doing business in Brazil. Brazil’s tax and employment laws confound many companies from developed economies. The World Bank's 2012 Doing Business report ranks Brazil 126th this year out of 183 countries on the ease of working there. It is getting better, slowly, however, and the opportunity for technology development is growing steadily. “The younger generation are keen to deal with people who can help them add value,” Bettelheim says. Julio Ramundo, director of the BNDES bank, insists there are big dividends for the persistent. A journalist for over 20 years, Nick Booth previously worked in IT in the UK’s National Health Service, financial services and London’s Metropolitan Police, witnessing at first hand the disruptive effects of new technology.